Gold-crazed Indians now need nothing more than a smartphone to buy and sell the precious metal. 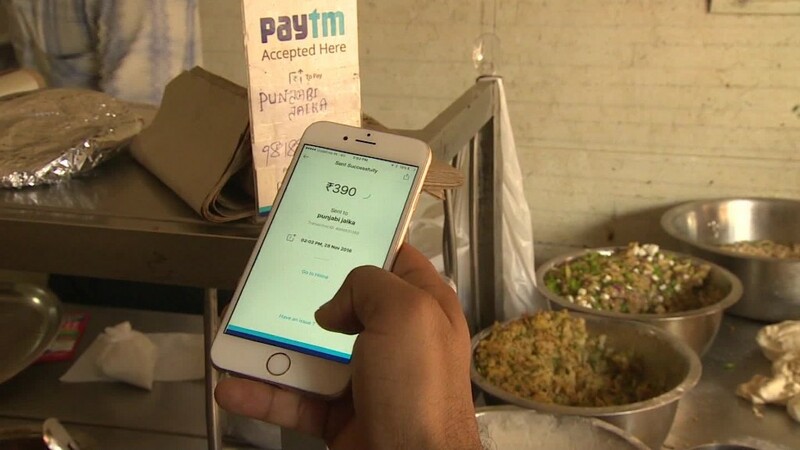 Paytm, the country's top digital payments platform, announced Thursday that users will now be able to purchase "digital gold" through its mobile app. The physical equivalent of the purchased gold will be supplied by a refinery called MMTC-PAMP, a joint venture between a Swiss bullion company and the Indian government. The gold will be stored in the firm's vaults. Paytm users can also choose to have the gold delivered to their home. And when it's time to sell, they can do that through the app as well. Many millions of Indians buy gold each year -- usually in the form of jewelry for use in religious festivals, or the country's famously extravagant weddings. But many Indians also purchase gold as an investment. Paytm estimates that the country's 1.3 billion people currently hold 24,000 tons of gold worth $900 billion. Demand is so high that India's mining industry can't keep up. The country has imported gold worth $4 billion in the last month alone. "Gold is probably India's truest wealth management product," Paytm CEO Vijay Shekhar Sharma said on Thursday. Paytm was a major beneficiary of the Indian government's decision in late 2016 to ban most of the country's cash and replace it with new notes. Many people discovered the app during the resulting cash shortage. Others turned to a faithful standby: gold.